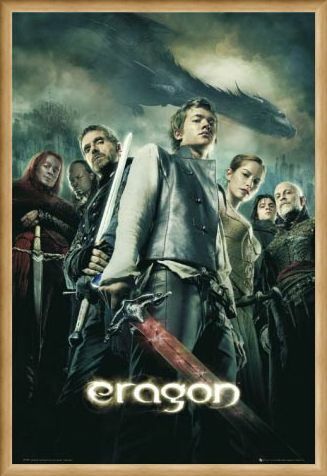 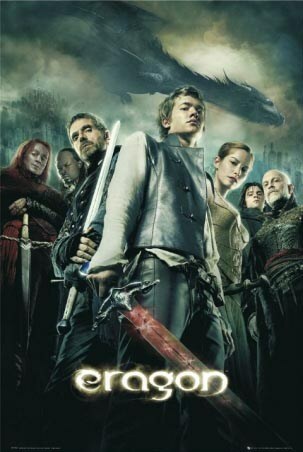 Film Poster: Based on the novel by Christopher Paolini, Eragon is a farm boy living in the magical world of Alagesia; one day Eragon finds a dragon’s egg, a discovery that leads him on a predestined journey where he realized he's the one person who can defend his home against an evil king. Edward Speelers plays the role of Eragon, other roles in this adventure are being filled by John Malkovich, Jeremy Irons and Rachel Weisz. High quality, framed Eragon Movie One Sheet, Eragon poster with a bespoke frame by our custom framing service.